Most e-democracy implementation has experienced mixed success; some have failed to meet up with the demand of the dedicated advocates while some are battling with a lot of replication of efforts within countries driving full-fledged e-participation across their governmental bodies. Ensuring success in e-democracy implementation requires harmonizing the technological, economic, political, legal, and cultural issues pertaining to e-democracy. Barriers to greater online citizen engagement in policy making are not technological but cultural, organizational, and constitutional. This chapter will provide an in-depth description of key issues to consider in making participatory e-democracy user friendly, effective, and deliver the expected outcomes. Important issues pertinent to the success of e-democracy project were explored. These are technological, social, and political issues that make for good success in e-democracy implementation. These are beyond the traditional concerns of the digital divide. The use of Information and Communication Technology (ICT) in enhancing citizens’ political participation has been identified as a solution to the problems of representative democracy, particularly, the disconnection between representatives and citizens and the decline of political interest amongst the populace (OECD, 2003b; Polat, 2005; Backhouse, 2007; Kang and Dugdale, 2010). One of the key issues in e-democracy development is to acquire an e-democracy system that considerably meet the needs of the citizens to participate in the democratic process and the government’s needs to provide citizens with adequate participation channels (Funikul and Chutimaskul, 2009). A successful e-democracy implementation should target developing a system that will meet the government’s needs and provide citizens with adequate participation channels. There have been several cases of e-participation projects initiated by different actors around the world but the issue of sustainability and citizens acceptance for online public participation remains a difficult task (Panagiotopoulos and Al-Debei 2012; Saebo et al., 2008). As noted by Wouters (2008), examples of good practice are extremely rare in e-democracy implementation. Most e-democracy implementation has experienced mixed success (Coleman and Norris 2005; Blackhouse 2007), some have failed to meet up with the demand of the dedicated advocates (Oni et al., 2014) while some are battling with lot of replication of efforts within countries driving full fledge e-participation across their governmental bodies. Several scholars have also worked on having a lasting e-democracy implementation, some notable efforts are found in Black and Noble (2001), Clift (2004), Local E-Democracy National Project (2006), Funilkul and Chutimaskul (2009) and e-democracy project planning route map. Ensuring success in e-democracy implementation requires harmonizing the technological, economical, political, legal, cultural issues pertaining to e-democracy. As noted by Kotsiopoulos (2009) barriers to greater online citizen engagement in policy-making are not technological but cultural, organisational and constitutional. 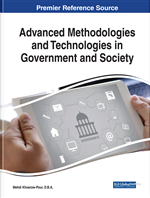 This article will provide an in-depth description of key issues to consider in making participatory e-democracy user-friendly, effective and deliver the expected outcomes. Important issues pertinent to the success of e-democracy project were explored. These are technological, social and political issues that make for good success in e-democracy implementation. These are beyond the traditional concerns of the digital divide.